Woohoo! I actually managed to get this post done in time! 😀 So here are my ruffle nails for the GOT Polish Challenge! 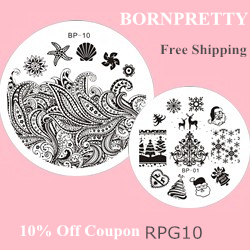 You can use more than one polish as long as it fits the theme and the rules. This was my second attempt at a ruffle mani, the first time I tried this technique I ruffled my whole nail, and OMG it made my nails look so wide oO it was like my fingernails had been replaced with toenails D: I have wide nails anyway and I can’t stand anything that makes them look even wider! 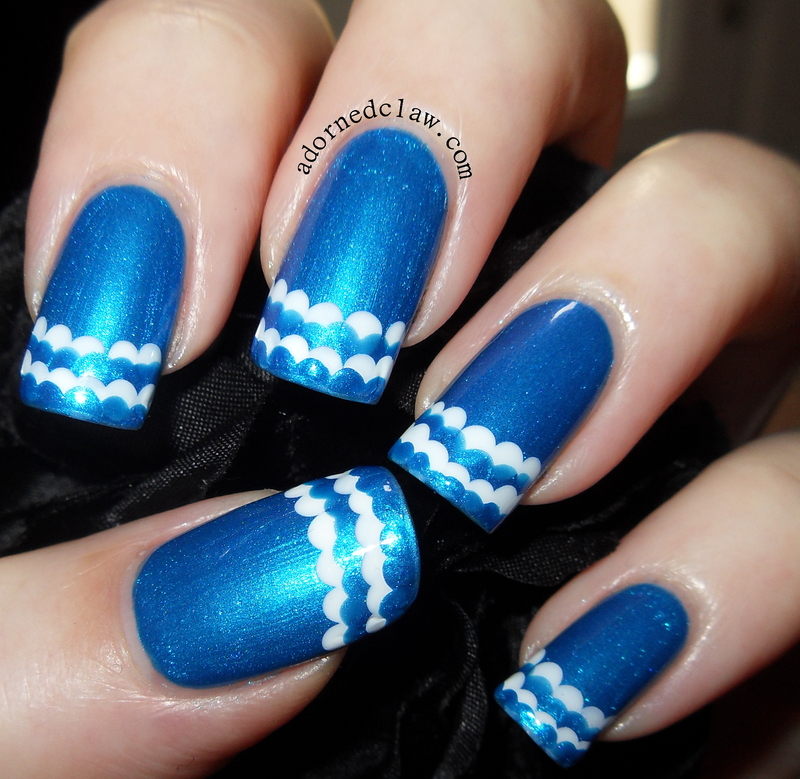 To do a ruffle mani it is actually really quite simple, just slightly overlapping rows of dots. Just make sure the previous row of dots is dry! I used a medium sized dotting tool! 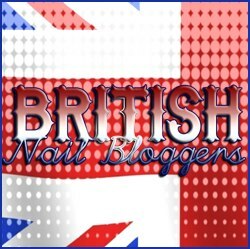 Remember to have a look at the GOT polish challenge group Pinterest board! You can find that right HERE! 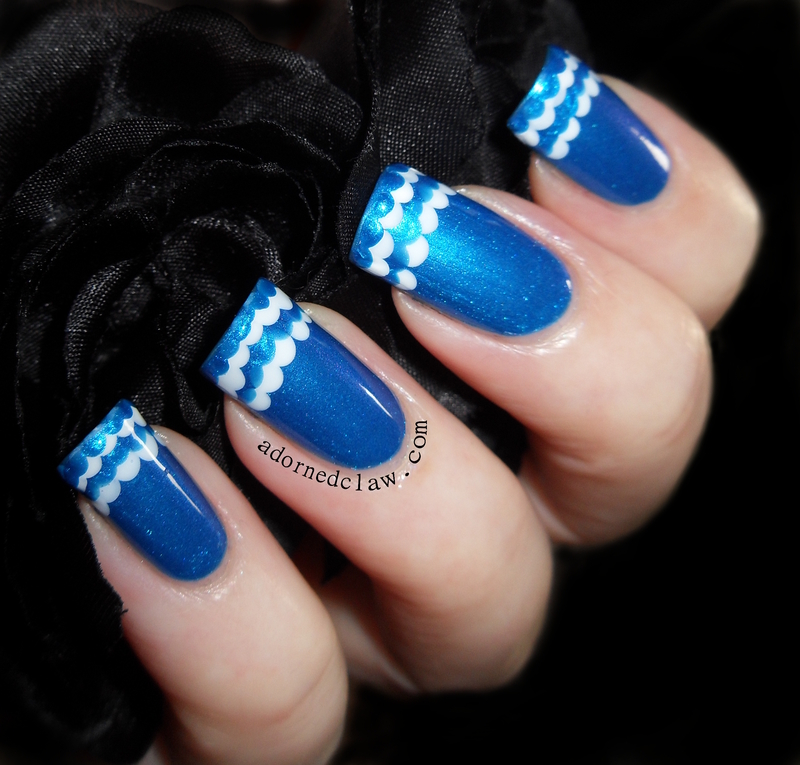 This entry was posted on Thursday, March 20th, 2014 at 6:23 PM	and tagged with blue, China Glaze White on White, Dots, Dotticure, Dotting Tool, French Tip, GOT Polish Challenge, Nail polish, Nail Varnish, nailpolish, Rimmel Azure, Ruffle, White and posted in Challenges, Nail Art. You can follow any responses to this entry through the RSS 2.0 feed.